Located in the heart of the rejuvenated Royal Docks area on the banks of the River Thames, The Refinery is our latest Shared Ownership development in East London. Comprised of 60 new one, two and three-bedroom apartments and located in West Silvertown - a dynamic area that is in the midst of regeneration – The Refinery is the perfect investment for first time buyers looking to get on the property ladder. Interiors at The Refinery have been designed to be bright and contemporary, with integrated appliances and a high quality finish throughout. This new property is also perfectly located just a short walk from West Silvertown DLR, which offers fast links to Canary Wharf and the City of London. We are delighted to announce that prices for the development are now live. One bedroom apartments, such as property 2.1 shown in the floor plan below, start from £122,500, for a 35% share. Property 2.1 has a generous total floor area of 51sqm, and a monthly rent of £522. One bedroom prices range from £122,500 to £139,125 (35% share). 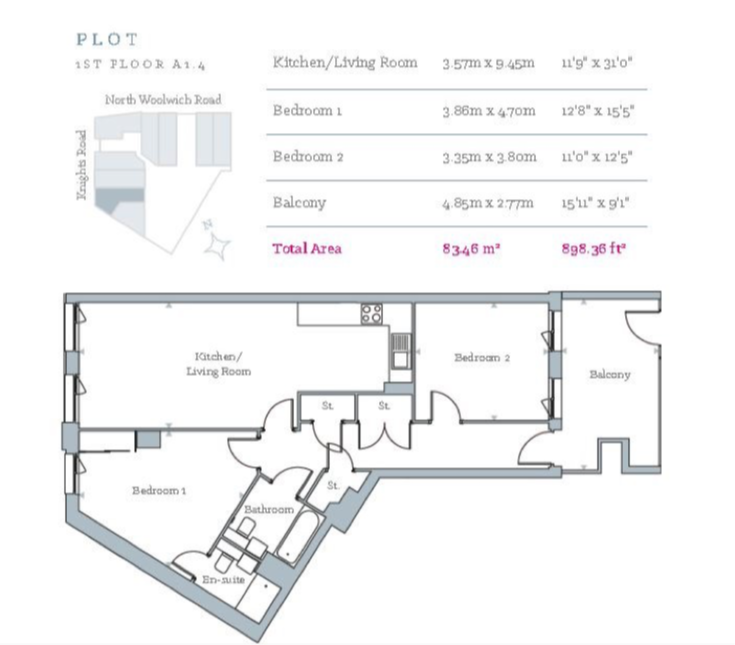 Two bedroom apartments, such as property 1.4 which comes with an open plan living / kitchen area (as shown in the floor plan below), start from £171,500, for a 35% share. Two bedroom prices range from £171,500 to £183,750 (35% share). 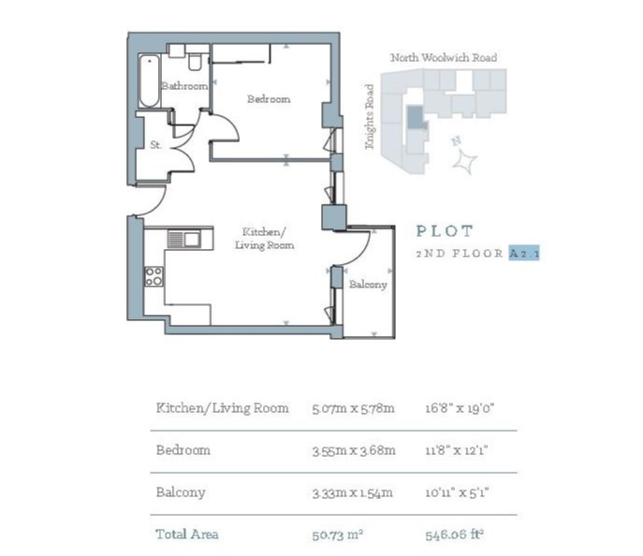 We have also just released the pricing for our three bedroom apartment. This first floor property, which is perfect for families, is available for £183,750 (35% share) and is a generous 89sqm in size. Our brand-new Shared Ownership development, The Refinery, will be ready to move into from July 2019. To receive exclusive monthly email updates about this one, two and three-bedroom development, including floorplans, images, open day details, launch dates and prices, register your details with us now on our website.